Pioneers in the industry, we offer oil dryer, tray type dryer and pulses roasting machine from India. 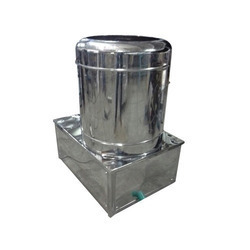 Abiding by the ethical norms of the industry, we are engaged in offering Oil Dryer. Manufactured in accordance with the industry laid norms, these boilers are appreciated for their performance, durability, low maintenance and sturdiness. To ensure the flawlessness of the products, these are rigorously examined on different grounds by the quality controllers of our firm. We hold expertize in manufacturing, supplying and exporting a commendable gamut of Tray Type Dryer. 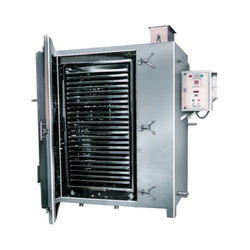 It is highly suitable for drying of numerous types of food products. We are making it available to the clients in 9 to 98 trays. For manufacturing this product, an ultra-grade raw material is used. Backed by sound infrastructure, we are able to provide patrons with superior quality Pulses Roasting Machine as per the given specifications. Looking for Food Processing Dryer ?